Maori singer/songwriter Maisey Rika, has one of Aotearoa’s (New Zealand’s) most impressive lead vocal style, fused with her honest and thought invoking messages. Since the early age of 13, Maisey began singing on stage and in the studio at a professional level. 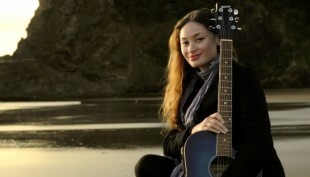 Maisey’s first recordings brought her to stardom with “E Hine”, a classic collection of Maori traditional songs. 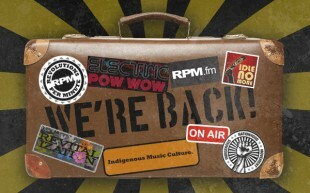 “E Hine” went double platinum and also won “Best Maori Language Album” at the New Zealand Music Awards. Maisey was nominated for “Best Female Vocalist” in 1998 at just 15 years old also. Maisey, now in her 20’s, has released 2 albums both charting in NZTOP40 and gaining critical acclaim. “Heartfelt music and song showcasing what I believe to be one of the most arresting and beautiful voices to emerge from New Zealand, ever” says Paul Mclaney of Mushroom Music. Her songs are filled with touching tales and the universal emotions of hardship, happiness, love, justice and sorrow we can all relate to. “Tohu” and her self titled EP explore many different arrangement styles. The ancestral sounds of traditional Maori instruments have been used along side energetic guitars, drums, animated horn sections and pure string sections. Maisey has toured New Zealand, Australia, Asia and is now currently expanding through Europe and America. Live performances have put her alongside Dave Dobbyn, Hinewehi Mohi, Anika Moa, Australian Idol – Stan Walker, 5 time U.S.A Grammy award winners “The Blind Boys of Alabama” and many more well known musicians/artists. 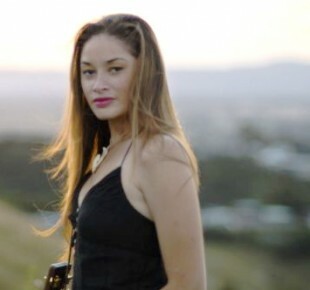 Maisey won 4 out of 4 nominated categories at the 2010 Waiata Maori Music Awards including ‘Best Maori Female Solo Artist Award’ – which she won in 2009 as well, ‘Best Maori Pop Album’, Best Maori Song and Best Maori Songwriter of the year. She was also a nominee for the prestigious APRA songwriting ‘Maioha Award’ for her song ‘Repeat Offender’ in 2009. Maisey’s strong heritage, eclectic songs, and her honey-stung vocals are quickly traveling around the world, from Aotearoa shores into international hearts.